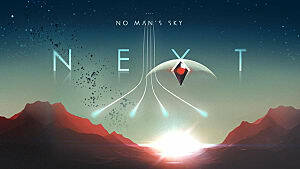 The highly anticipated (and perhaps long overdue) NEXT update for No Man's Sky has brought along true multiplayer and many needed quality of life improvements. But it's also brought along quite a few irritating bugs and glitches. 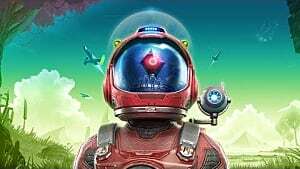 Some bugs are to be expected when finally putting multiplayer in such an ambitious space exploration sim, but not all of the No Man's Sky Next bugs are actually negative. 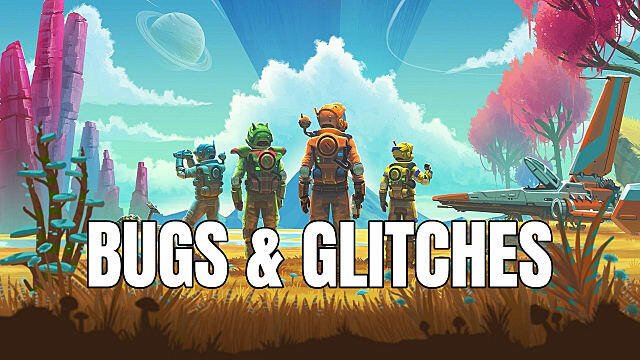 Let's dive into what known glitches can be fixed and which ones can be exploited to your advantage before the next NMS patch. 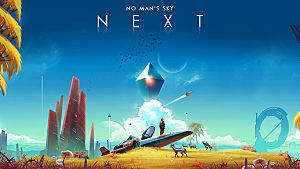 While the core issues causing the constant PS4 crashes will likely need to be addressed in a new patch, many users are reporting they get a much more stable No Man's Sky experience if they simply turn off Boost Mode. From the main menu, head to the PS4's Settings screen and then choose System. De-activate Boost Mode in the list of options. Fully close the No Man's Sky app (don't just return to the dashboard) and then load it again to fix the crash issue. Quite a few random audio stutters, misplaced sound effects, and improperly loaded textures are affecting the overall experience for players who downloaded the NEXT update. Your windshield might flicker in and out of existence, walls disappear, arms suddenly vanish and then re-appear on wrong parts of the body, and so on. For Xbox One and PS4, there's not a lot to be done until an official patch arrives, but on Steam, some users are reporting success by following the typical file integrity verification procedures. If you haven't gone through this process before, right-click No Man's Sky in your library and choose "Properties," then navigate to the "Local Files" tab. Click "Verify Integrity Of Game Files" and then follow the prompts. 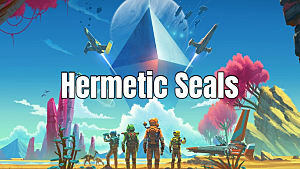 Usually Steam will automatically download whatever files are missing or corrupt, but in the worst case scenario you may need to full uninstall and re-install the game. When verifying files doesn't change anything, turn off SLI if you use that configuration. If you don't use SLI, some users have reported success by uninstalling their monitor in the Device Manager menu of Windows and then automatically re-installing by restarting the computer and going through the Detected New Hardware prompts. Particularly on consoles, some players can't switch weapon modes because the options they need for different modes are grayed out. Then re-open and weapon mode switching should work properly. If the problem persists, delete your save file and start a new one to resolve the problem if you aren't willing to wait for the next patch. 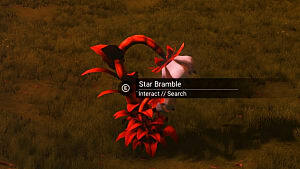 Tapping the "E" key on the PC version of No Man's Sky to tag a building you've identified with a scanner will, for some reason, cause your ship to immediately land. Obviously, this shouldn't be happening, but unfortunately, there's no clear workaround right now. Let us know if you've found a fix and we'll ad it here! Combining large stacks of resources used to automatically filter them out to maximums of 500 items, but this no longer appears to be the case. At this point, there is no fix. Something has clearly changed in how objects are flagged, as they don't combine as they should anymore, which may be one of the root causes of the refiner bug exploit listed below. 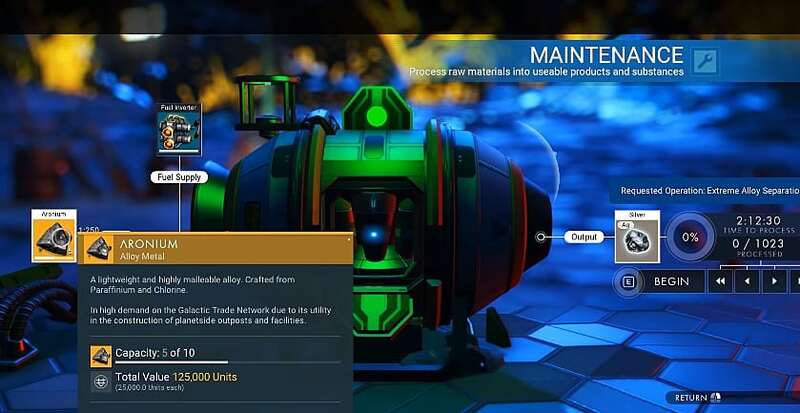 Craft two portable refiners (found on the portable equipment tab on the build menu) and place the first one wherever you want on any planet (but not on a freighter). Set nearly any item in the game that you'd like to freely duplicate into the refiner's input. Some players have reported they have to actually start the refiner process to get the bug working with step three, but it appears it is simply the act of placing the item in the input that starts the duplication process for most players. 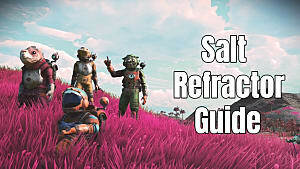 If you discover otherwise, let us know and we'll get this guide updated! Whether you started the refiner going or just placed an item in the input, quickly place a second portable refiner near the first one. The proximity is the key here, as they need to be close together to trigger the duplication. Open the maintenance menu on the second refiner to discover it suddenly has duplicated whatever object you put in the first refiner. If you started the first refiner going, you may discover the duplicate is in the output instead of the input. 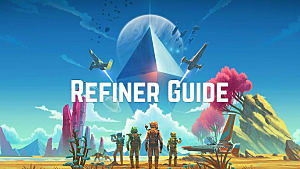 Remove the duplicated resource from the input of the second refiner, then pick up that refiner. Remove the item from the first refiner as well. Now, endlessly repeat the process of placing items in the first input, setting down the second refiner, and grabbing your free duplicated resources. The upper limit of this process isn't known, but it reportedly works with three refiners as well for three times the resources if they are placed in close enough proximity. The potential applications here are endless, from duplicating and selling those expensive technology modules to creating an endless supply of liquid explosive or any other item you need. The No Man's Sky refiner duplication bug is virtually guaranteed to get patched out at some point, as it can obviously be exploited in game-breaking ways. Found any other No Man's Sky Next bugs we didn't cover? Let us know in the comments and we'll look for a solution, and be sure to submit a bug report here to the development team.